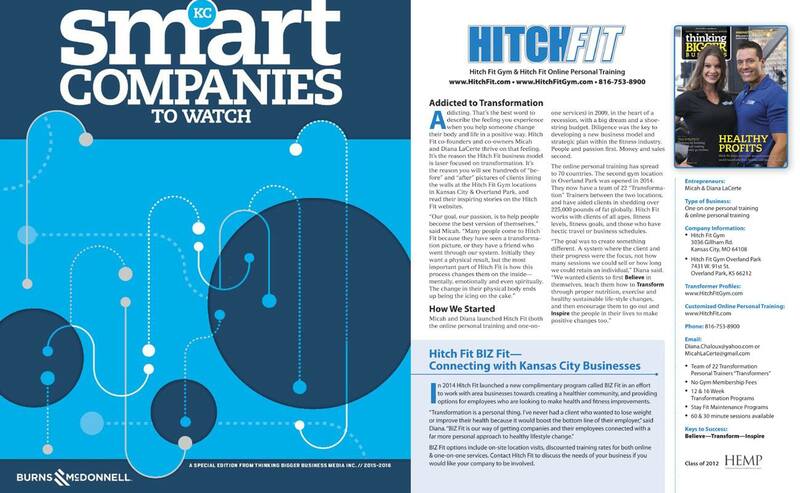 Hitch Fit was named as one of Thinking Bigger Business Magazine’s “Smart Companies to Watch for 2015”. Hitch Fit offers complimentary BIZ Fit programs in an effort to work with area businesses towards creating a healthier community, and providing options for employees who are looking to make health and fitness improvements. If you would like to implement Hitch Fit as part of your corporate wellness strategy at your business, please contact Diana Chaloux – LaCerte at [email protected] . Hitch Fit Gym has two one on one private personal training studio locations in the Kansas City area. In downtown Kansas City at 3036 Gillham Rd. KCMO, and in Overland Park at 7431 W. 91st St. Overland Park, KS (next to Whole Foods Market). Hitch Fit also offers online personal training programs globally. Since launching in 2009, Hitch Fit has aided clients in shedding over 225,000 pounds of fat, and has served clients in 70 countries. 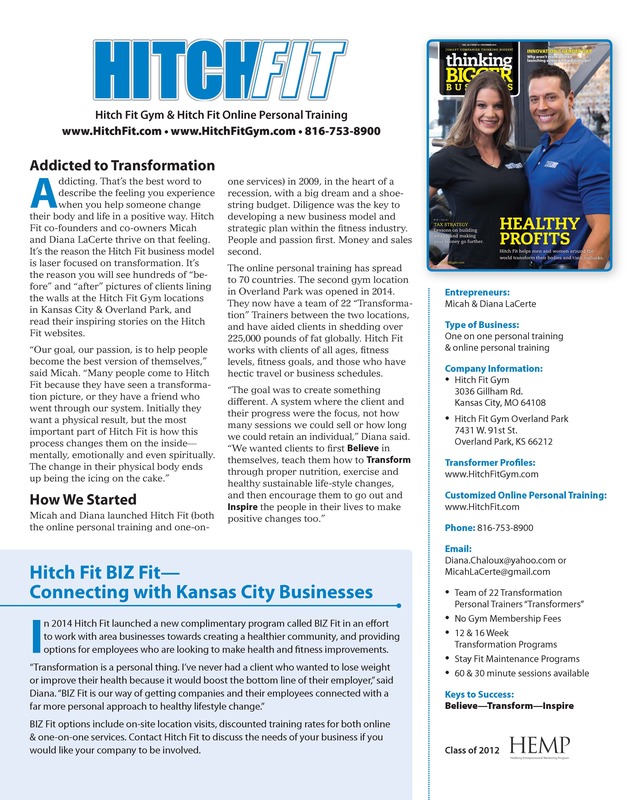 For information on One on One personal training in Kansas City or Overland Park visit www.HitchFitGym.com or call 816-753-8900. For information on Online Personal Training Programs available globally visit www.HitchFit.com/store/programs.